It said in the Defense-aerospace.com that the Indian Air Force (IAF) is set to begin contract negotiations for acquiring 56 Airbus C-295 transport aircraft as replacements for its ageing Avro HS-748 aircraft. According to the Chief of Air Staff, Air Chief Marshal BS Dhanoa, due attention is being paid to all assets of IAF, fighters and transporters included, and that «contract negotiations for 56 C-295 aircraft to replace the ageing Avro fleet are likely to commence shortly». Separately, official sources indicated that the Border Security Force (BSF) is also looking at four C-295s for movement of its troopers within the country. That takes the projected number to 60, but as the aircraft will be made in India by the Tata Group, their number should go up eventually, keeping in mind the regional connectivity plans of the Civil Aviation Ministry, particularly in India’s northern Himalayan cities. 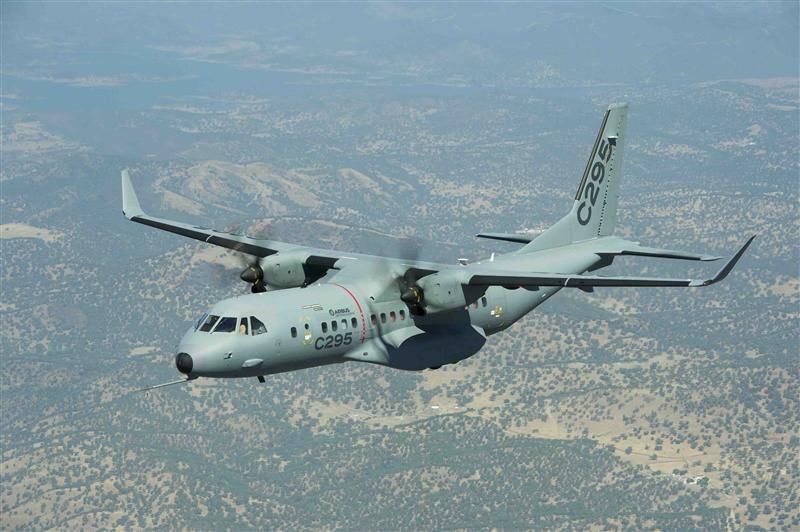 Airbus officials have also said they are looking at a sizeable share of the Indian civil aviation market, pointing out that the C-295 is already operational in 19 countries. The air chief’s statement is significant as it clearly indicates that the process of acquiring the C-295s is now on a firm track. The aircraft is to be made in India by the Tata Advanced Systems Ltd. (TASL) in partnership with Airbus, and as per their announcement in 2014, once a contract is awarded, Airbus Defence and Space will supply the first 16 aircraft in «fly-away» condition from its own final assembly line in Spain and the subsequent 40 aircraft will be manufactured and assembled by TASL. The arrangement will include undertaking structural assembly, final aircraft assembly, systems integration and testing, and management of the indigenous supply chain. Asked how the IAF was overcoming many challenges in the transport domain, Air Chief Marshal Dhanoa said that IAF will also induct another six Lockheed Martin C-130J Special Operations aircraft within the first half of 2017 while one more Boeing C-17 Globemaster III strategic lift aircraft is being acquired to take their number to 11. Ten C-17s are already operational with the IAF. It may be recalled that IAF has already inducted the first lot of six C-130Js. One of them, however, had crashed and a case has now been made for its replacement. About the AN-32 aircraft, which is the workhorse of the IAF and has been under upgrades, he said that their first lot is due for «phase out in 2023-24 and a suitable replacement will be considered at an appropriate time». The IAF had acquired more than 100 AN 32s beginning mid-1980s from the Soviet Union, and these are being upgraded by Ukraine, which is now an independent state after the breakup of the Soviet Union. About the Medium Transport Aircraft (MTA) that was proposed (in 2007) to be designed and built in collaboration with Russia, Air Chief Marshal Dhanoa said that «the agreement with Russia for MTA could not mature as their proposal did not meet some of the Air Staff Qualitative requirements (ASRs)». The Spanish Air Force has taken delivery of its first Airbus A400M new generation airlifter – the most advanced aircraft to have been produced in Spain and one which will transform the nation’s air mobility fleet. Today’s contractual handover of the first of 27 aircraft that it has ordered makes Spain the sixth nation to put the A400M into service. Representatives of the Spanish Air Force and Ministry of Defence formally accepted the aircraft, known as MSN44, from Airbus Defence and Space in a brief ceremony at the A400M Final Assembly Line (FAL) in Seville. Airbus Defence and Space Head of Military Aircraft, Fernando Alonso, said: «Today is truly a special day for all of us who have been involved with the A400M programme over the years – but particularly for the Seville workforce that has worked so hard to make the aircraft a reality. Every delivery to every customer is of huge importance to us, but being able to hand over the first aircraft to Spain from our final assembly line in Seville is a source of particular pride. I would like to thank all our employees, as well as Organisation conjointe de coopération en matière d’armement (OCCAR) and our Spanish customer for achieving this milestone». In Spanish service the A400M will replace the ageing C-130 aircraft type, carrying about twice the load over the same distance, or the same load twice as far. In addition, it can serve as a tactical air-to-air tanker for other transport aircraft, including other A400Ms. Uniquely it is able both to cruise at jet-like speeds and altitudes over intercontinental ranges due to its four extremely powerful engines and advanced aerodynamic design, as well as to operate repeatedly from short and unprepared airstrips close to the scene of military action or humanitarian crisis. Under an agreement signed in September, 14 aircraft will be delivered at a steady pace between now and 2022, and the remaining 13 are scheduled for delivery from 2025 onwards. 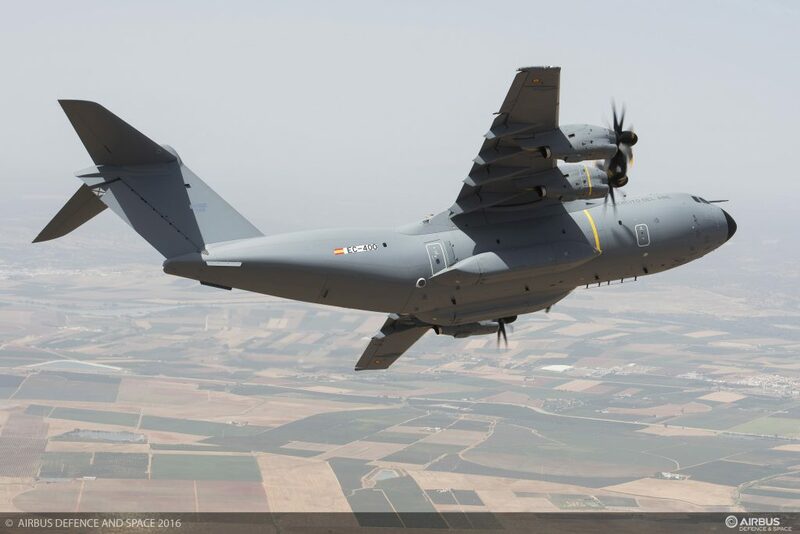 The Spanish A400M fleet will be based at Zaragoza in North East Spain and will represent the heavylift element of a transport force that includes the medium C295 and CN235, and light C212 aircraft – all produced by Airbus Defence and Space. MSN44 will fly to Zaragoza in the coming days. 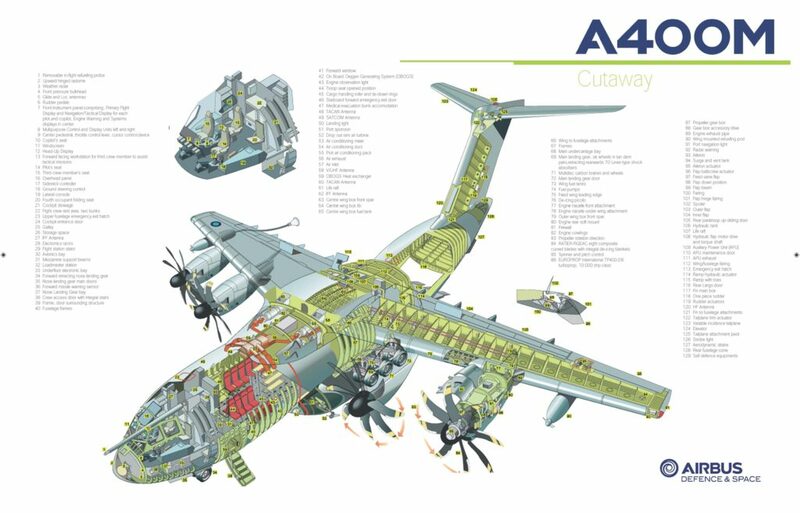 Altogether more than 1600 employees from Airbus Defence and Space work in Spain for the A400m program, including 1100 working directly at the Seville FAL and nearby Tablada Factory. 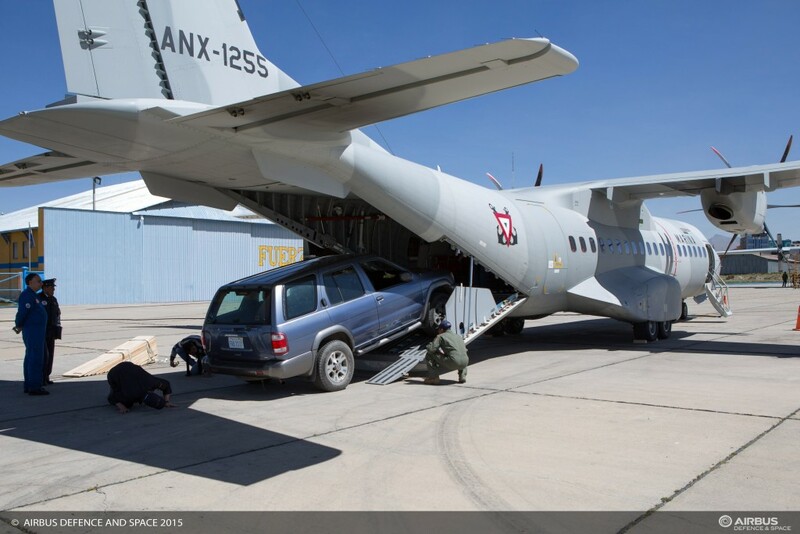 To date eight nations have ordered 174 aircraft of which 34 have now been delivered. An Airbus C295W aircraft belonging to the Mexican Navy (SEMAR) and operated by a mixed crew from Airbus Defence and Space and SEMAR has carried out demonstration flights in El Alto, La Paz, Bolivia, one of the airports with the most extreme hot and high conditions in the world. 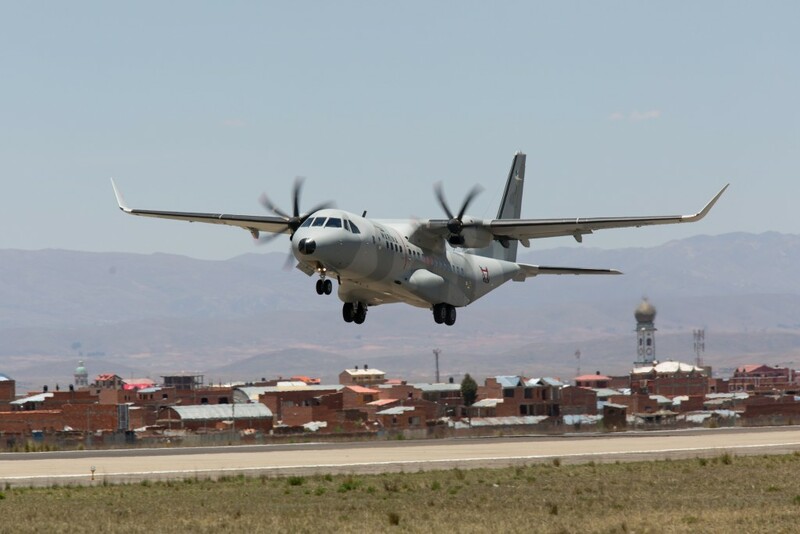 The C295W, which landed at El Alto International Airport, more than 13,123 feet/4,000 m above sea level, on Tuesday, November 17, has also performed flights to the Cochabamba base and the unprepared runway of San Borja. The new C295W version is equipped with winglets, which allow transport of more payload over larger distances in hot and high conditions and result in fuel savings of around 4%. 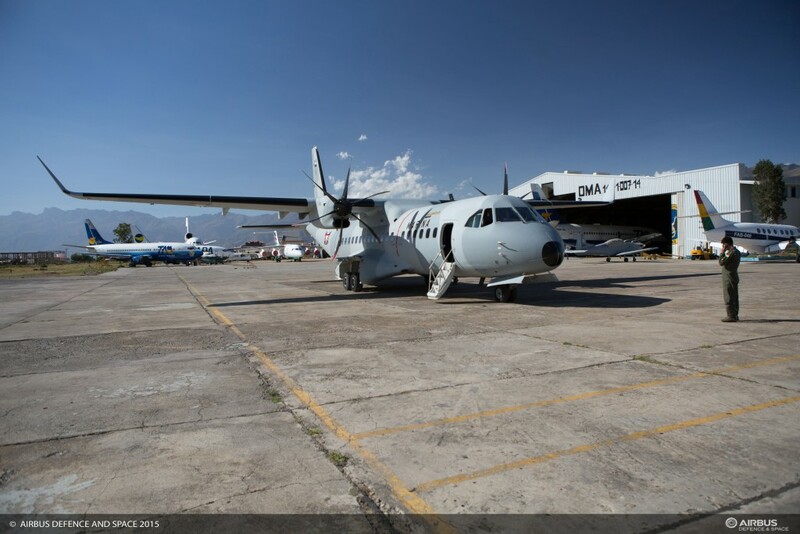 «The highly successful demonstration by the C295W in Bolivia this week underlines again its excellent performance in hot and high conditions, which is key for several countries in the Region. It demonstrates once more the C295W’s status as the most efficient aircraft in its category», said Christophe Roux, Head of Airbus Defence and Space in Latin America. The aircraft’s tour of the region will include stops in several countries of the Region before returning to Mexico in early December. 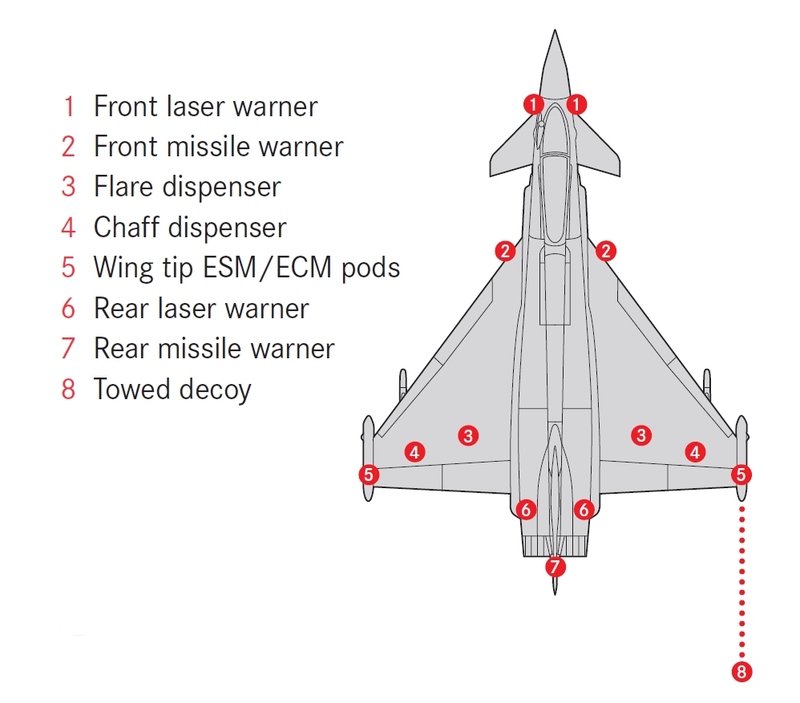 Airbus Defence and Space has successfully completed flight-testing of a package of aerodynamic upgrades to the Eurofighter Typhoon swing-role fighter that promises to enhance further the aircraft’s agility and weapons-carrying ability. 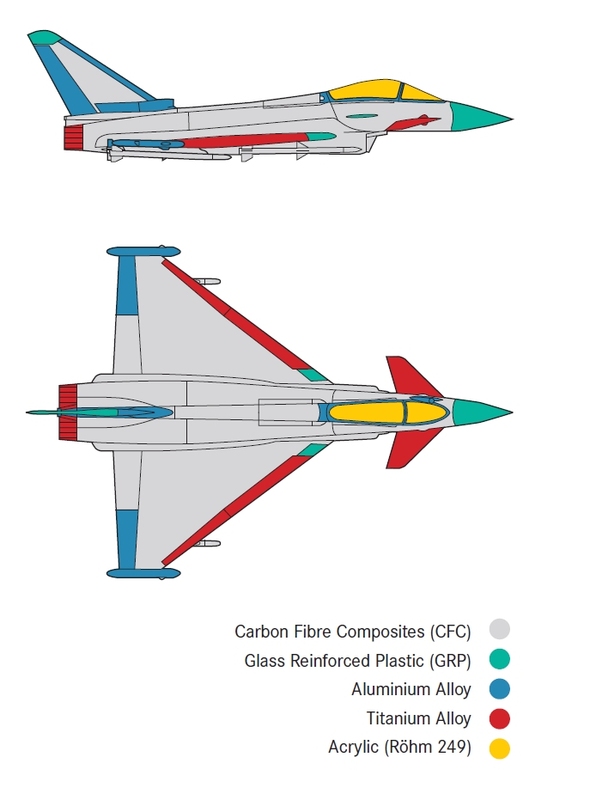 The Aerodynamic Modification Kit (AMK) is part of a wider Eurofighter Enhanced Maneuverability (EFEM) programme with the potential to help ensure the type is continuing superiority for many years to come. It entails primarily the addition of fuselage strakes and leading-edge root extensions, which increase the maximum lift created by the wing by 25% – resulting in an increased turn rate, tighter turning radius, and improved nose-pointing ability at low speed – all critical fighter capabilities in air-to-air combat. 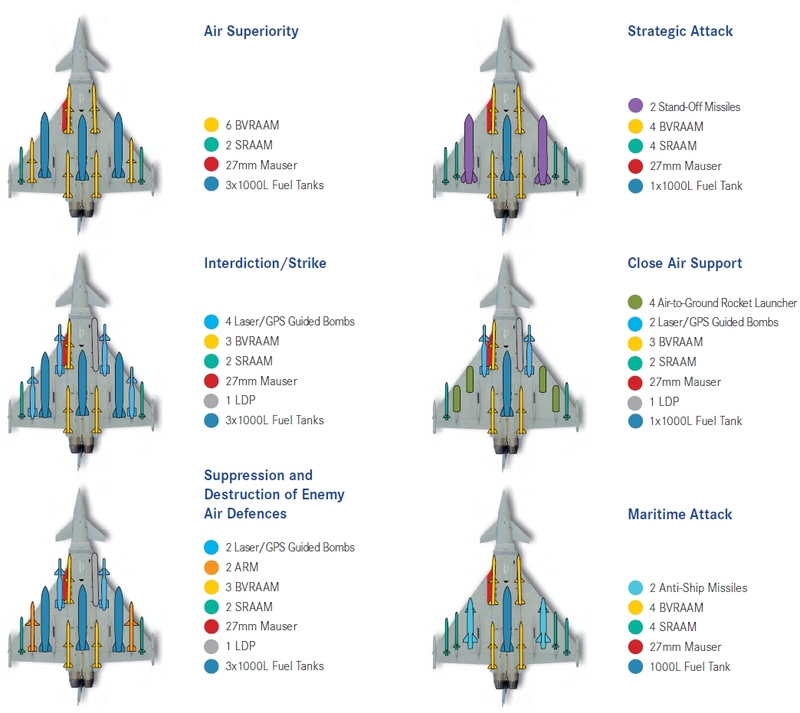 The introduction of the AMK will not only enhance the Eurofighter’s current capability as a swing-role fighter-bomber, but will provide additional growth potential, enabling easier integration of future air-to-surface configurations and much more flexible applications, vastly enhancing the aircraft’s mission effectiveness in the air-to-surface role. 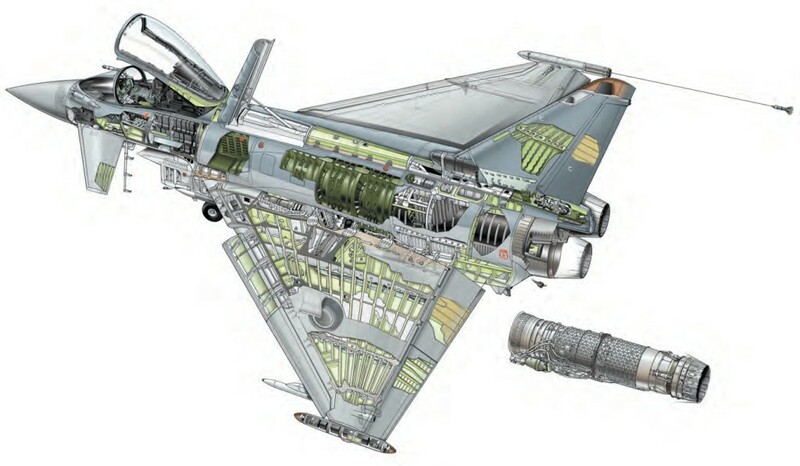 Eurofighter Project Pilot Germany Raffaele Beltrame said: «This programme has been a tremendous success with very impressive results – in some areas even better than we expected. We saw angle of attack values around 45% greater than on the standard aircraft, and roll rates up to 100% higher, all leading to increased agility. The handling qualities appeared to be markedly improved, providing more maneuverability, agility and precision while performing tasks representative of in-service operations. In addition, it is extremely interesting to consider the potential benefits in the air-to-surface configuration thanks to the increased variety and flexibility of stores that can be carried. It is right to say that the EFEM/AMK work has allowed us to discover a new aircraft with much higher performance and greater potential to meet the challenges of the years ahead». The flight trials followed some five years of studies. 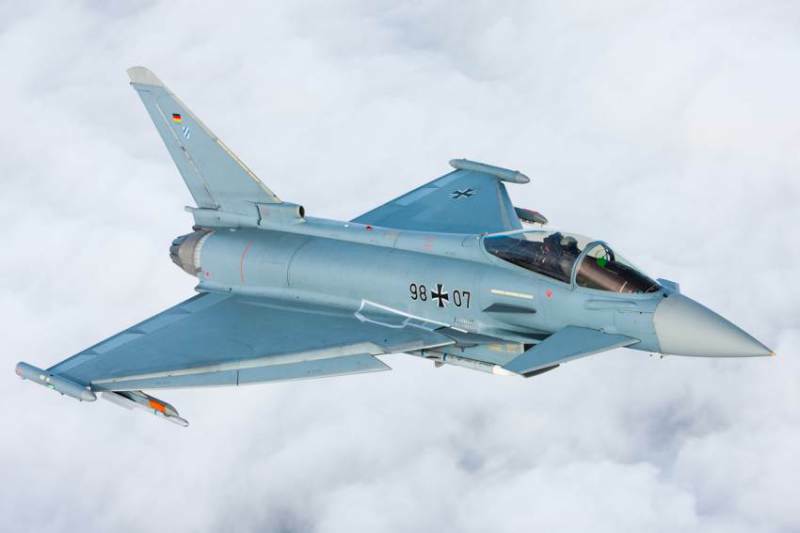 Eurofighter test pilots, joined in the latter stages by operational pilots from Germany, Italy and the UK, completed 36 sorties from Manching, Germany on the IPA7 Instrumented Production Aircraft. The EJ200 has been designed with inherent growth potential up to 15%. Enhancements in the compression system and latest innovations in core engine technology could deliver up to 30% increased power. This performance improvement may also be traded for life cycle cost improvements, maintaining current thrust levels. This flexibility is enabled by the advanced Digital Engine Control and Monitoring Unit (DECMU), fully exploiting the advantages of the enhanced engine in line with operational requirements. 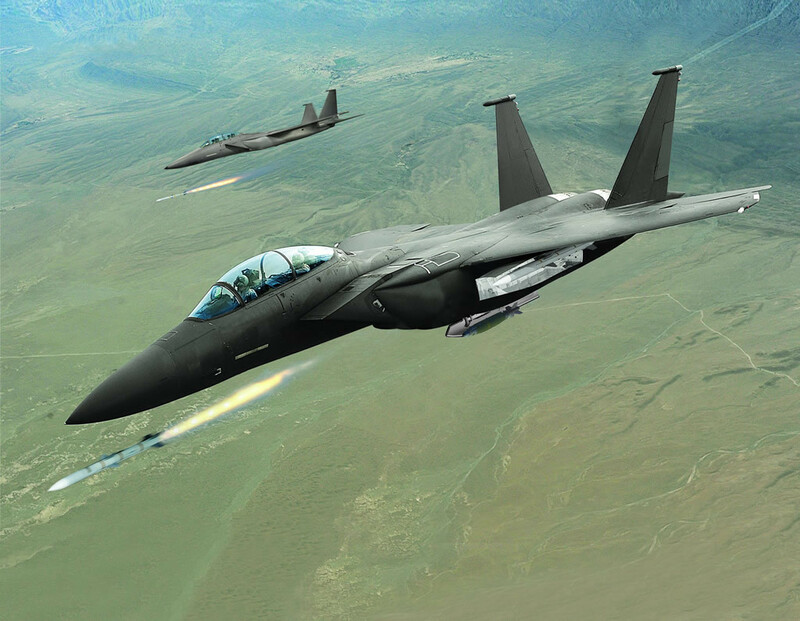 It is said in The Aerospace Daily & Defense Report that Airbus and Boeing are jointly attempting to unseat Lockheed Martin from South Korea’s KF-X indigenous fighter program, offering stealth know-how from Europe that could not be supplied from U.S. sources. 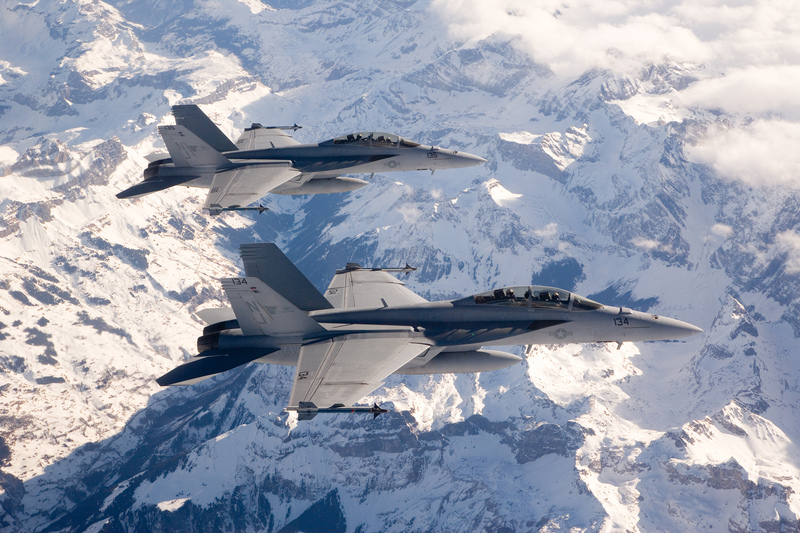 F/A-18E/F Super Hornets in flight over mountains, snow. In route to India Aero Show. With Korean Airlines as the local partner, the pair are likely to be proposing the Boeing F/A-18E/F Super Hornet as a base design for the KF-X. The defense ministry’s procurement office, the Defense Acquisition Program Agency (DAPA), issued a request for proposals for KF-X development on December 23, 2014. 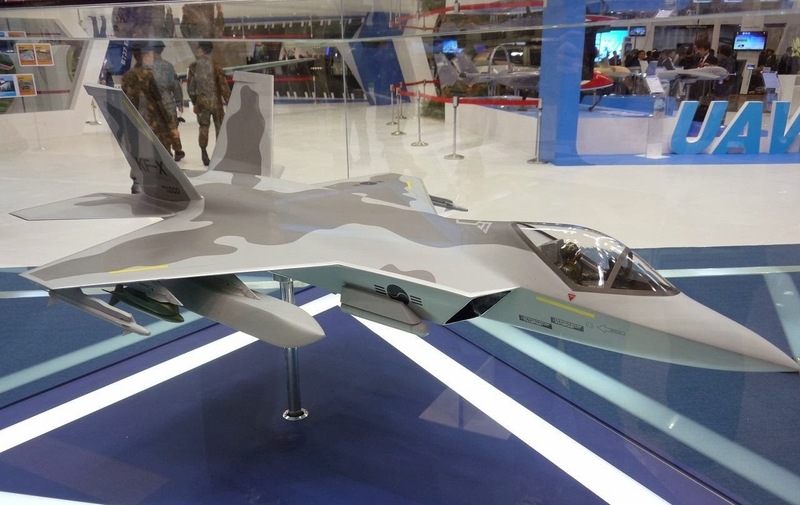 According to DefenseNews.com, Seoul aims to produce 120 KF-X jets between 2023 and 2030. The state-funded ADD has long studied a twin-engine concept, either of the C103 design that looks somewhat like the F-35 or the C203 design following the European approach and using forward canards in a stealth-shaped airframe. Both of the twin-engine platforms would be powered by two 18,000-pound (80 kN/8,165 kgf) engines, ADD officials said. 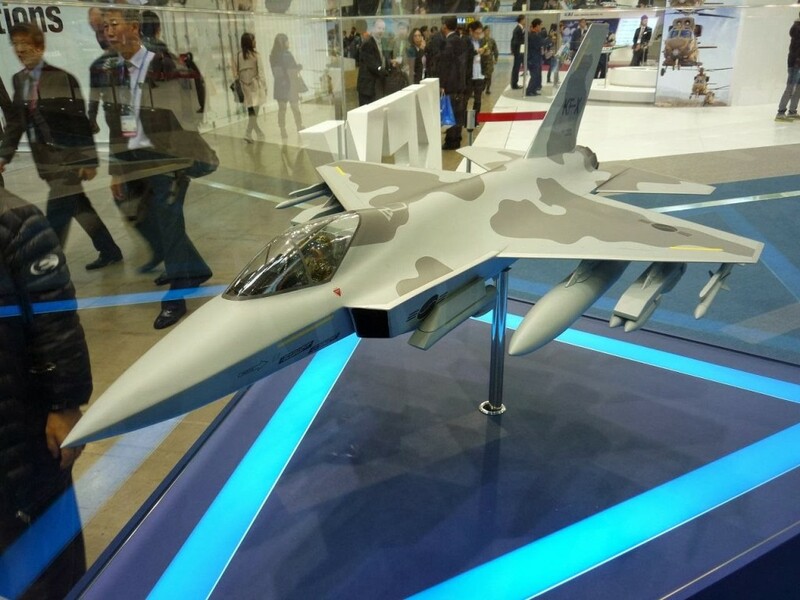 Korea Aerospace Industries, on the other hand, prefers a single-engine concept, dubbed C501, which is to be built based on the FA-50, a light attack aircraft version of the T-50 supersonic trainer jet co-produced by Lockheed Martin. The C501 aircraft, powered by a 29,000-pound (129 kN/13,154 kgf) engine, is designed to be fitted with a limited low-observable configuration and advanced avionics. The U.S. limits the technology that its companies can transfer abroad. Thus, South Korea lacks technology in many fields, such as active, electronically scanning radar. Nevertheless, Airbus, as an airframe company, is probably involved in the Boeing bid as a supplier of stealth know-how that the U.S. company is not authorized to provide. A budget of 8.6991 trillion won ($7.9171 billion) approved by the finance ministry this month must be intended to pay for development of the ADD KF-X. However, parliament has not yet authorized that spending or the launch of full-scale development, nor can it do so before it votes on the government’s 2016 budget next December. In the meantime, KAL (Korean Air Lines) looks likely to submit the cheaper alternative, based on the Super Hornet, to DAPA in response to its request for proposals.